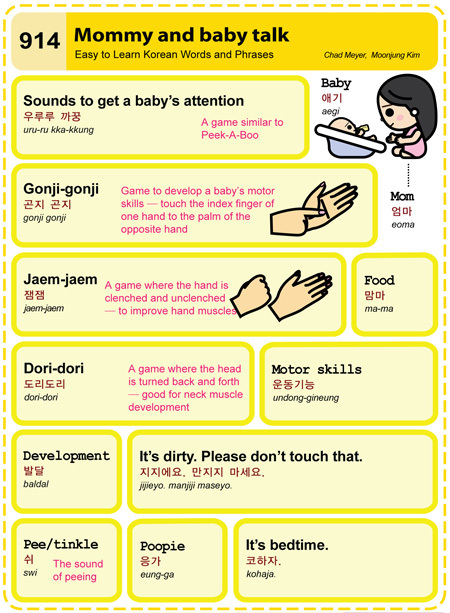 Easy to Learn Korean 932 – Prefer a son. 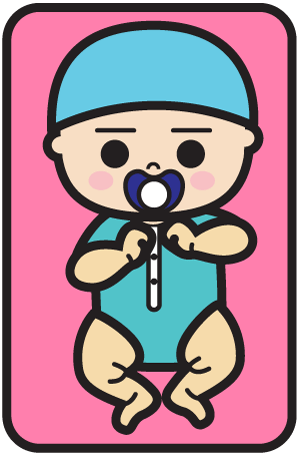 Posted in Series	| Tagged baby, daughter, family lineage, patriarchal society, prefer a son, Preference, son, thought, 남아선호사상, 딸, 많은 부모들이 딸을 선호해요, 사상, 선호, 아기, 아들, 아들만이 가족의 대를 잇는다고 생각해요, 오늘날, 전통적으로 가족들은 딸 대신에 아들을 원해요, 한국은 부계 사회에요. 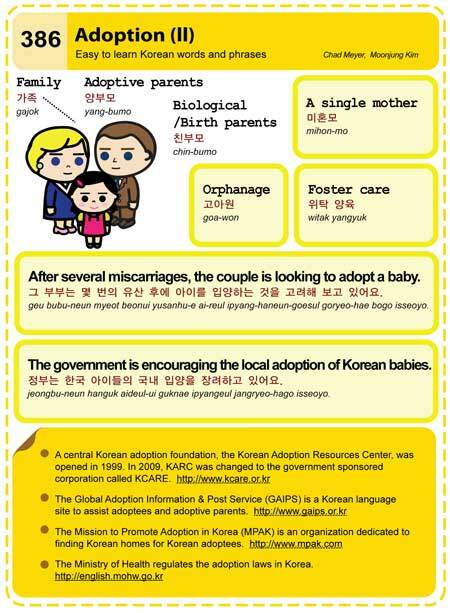 Of 4,500 married women surveyed by the KIHASA (Korea Institute for Health and Social Affairs), 53% say that having a baby is not crucial to their marriage. 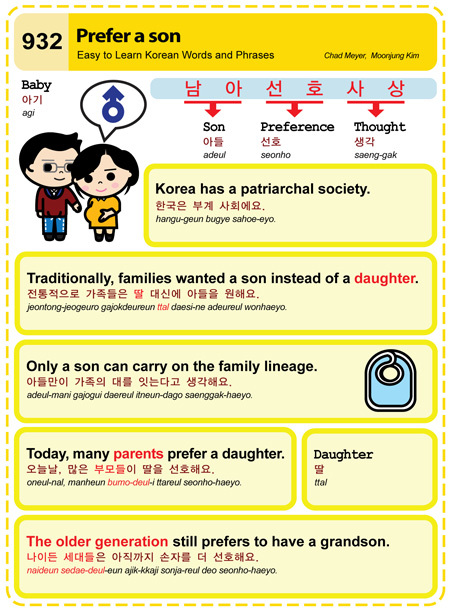 And having a boy is only favored by 33% of respondents.